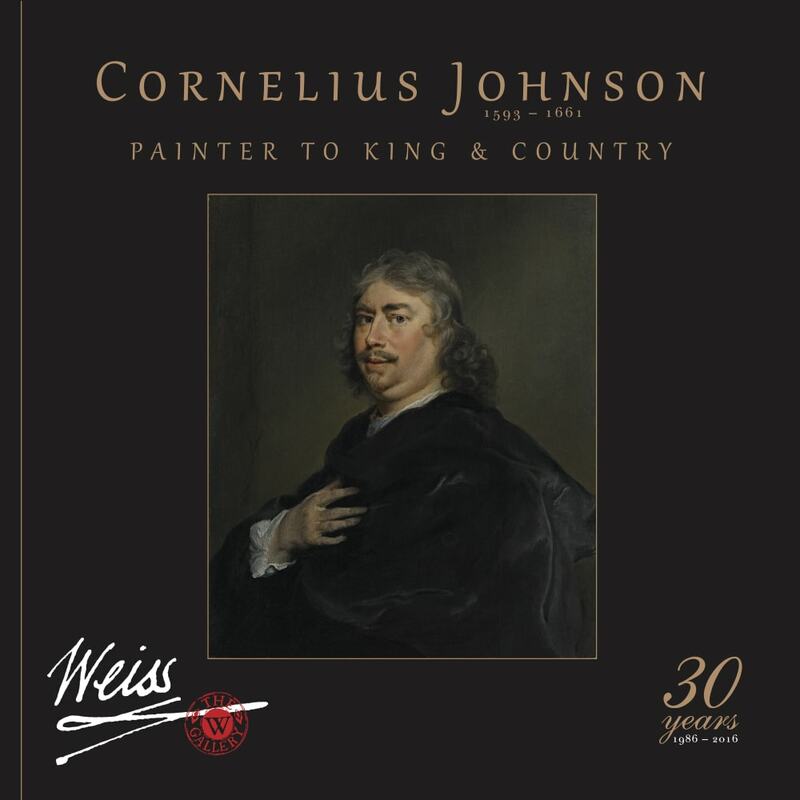 "30th Anniversary Exhibition: Cornelius Johnson (1593 - 1661): Painter to King & Country"
Mark Weiss, London’s leading specialist in Tudor, Stuart and Northern European portraiture, will celebrate the 30th anniversary of the opening of his first gallery in London with a special exhibition, ‘Cornelius Johnson: Painter to King & Country’, which will run from 30th June to 15th July in his Jermyn Street gallery. The exhibition will be the first ever large-scale show dedicated to Johnson’s work, an artist whose paintings are familiar to many due to the numerous portraits that hang in notable private and public collections, both in the UK and internationally. The exhibition will also form part of London Art Week (1st – 8th July; Preview 30th June). Mark Weiss, the gallery founder and owner, considers this very special milestone in his career an appropriate occasion to promote an artist close to his heart. Johnson is an artist whose work he has sold regularly over the years, to both private and public collections. The exhibition will comprise over 30 works including loans from institutions such as The Scottish National Portrait Gallery in Edinburgh, The Huntington Library Art Collection in San Marino, California, and the great English country house, Petworth House, bearing testament to the long-standing relationships Weiss has built with collectors and museums over the years. In addition, there are works from The Weiss Gallery collection for sale. Johnson came of age at a time when the great Elizabethan and early Jacobean painters, including Marcus Gheeraerts the Younger (1561-1636), Robert Peake (1551-1619), and Paul van Somer (1577-1621) were at the end of their careers, thus representing a new artistic vision for the time. Johnson worked on every scale – from tiny oval miniatures to full-length portraits and also the large group image. His sitters comprised a new dawn of lawyers, politicians, gentry, merchants, nobility and royalty, most notably Charles I for whom he was a Court painter. Highlights in the exhibition include two important Royal commissions depicting Queen Henrietta Maria (1609-1669) and her son Charles as Prince of Wales (1630- 1675). These works are being loaned from a private collector in the USA and neither have previously been shown in a public display. The small-scale full-length portrait of Queen Henrietta Maria, which was once in the collection of Charles I, is a collaboration between Johnson and Gerard Houckgeest (1600-1661). Johnson painted the portrait whilst Houckgeest created the interior. From The Weiss Gallery collection, is a portrait of Sir William Campion of Combwell, painted around 1633 just one year after he was appointed ‘his Majesty’s servant in ye quality of Picture Drawer.’ This portrait is an exceptional example of Johnson’s masterful technique, evident in the depiction of the intricate lacework of the sitter’s collar and the delicate brushstrokes used to recreate the sitter’s hair and cavalier beard. It is comparable in quality to the Unknown Gentleman, 1632, sold by The Weiss Gallery to The Huntington Library, San Marino, CA, also on display in this exhibition. The exhibition will be accompanied by an extensive catalogue that features essays written by Karen Hearn (ex-Tate Britain and author of 'Cornelius Johnson' ) and Edward Town & Jessica David from the Yale Centre for British Art. The catalogue will be available to purchase at the exhibition and online.